While it’s typical for Tekken 7 competition to be dominated by South Korean players, the Evo 2018 finals featured a collection of amazing players from across the world. The eventual champion would have to contend with competitors not only from that Asian peninsula, but also the United States, Japan, and Thailand. Sun-woong “LowHigh” Youn proved he was up to the challenge, even when facing off against one of the longtime legends of the Tekken community. Apart from perennial contender Hyun-jin “JDCR” Kim, the entire landscape of Evo 2018’s finals has changed from last year. Since arriving on consoles in 2017 after a two-year exclusive stint in arcades, the Tekken 7 community has expanded by leaps and bounds. Competition is no longer confined to just a few regions, and the relative balance Bandai Namco has achieved throughout the game’s roster gives players a variety of tools with which to succeed. That said, very little trumps experience, and Byung-moon “Qudans” Son has that in spades. Over a decade ago, he entered Tekken Tag Tournament competition at Evo 2005 and walked away a champion. He retired from the scene for several years, then returned to the game in 2011 at the urging of his friends and fellow competitors, from which point he slowly built back up his skills. Last year, he finally returned to the United States and secured the Tekken World Tour championship. LowHigh and Qudans entered the Tekken 7 grand finals at Evo 2018 via two very different routes. While both qualified in winners, an early meeting saw LowHigh send Qudans to the losers bracket. 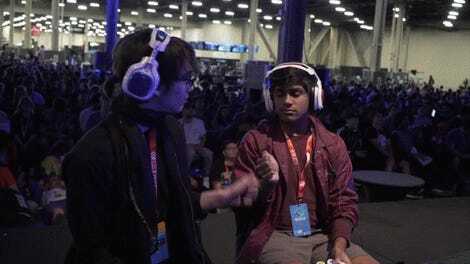 LowHigh would then go on to defeat the sole American finalist, Terrelle “Lil Majin” Jackson, in winners finals. Qudan, on the other hand, had to face the treacherous waters of the lower bracket, blowing through unorthodox competitors like Hyun-ho “RANGCHU” Jung, a Panda player that provided his ursine main with a rare appearance in high-level competition. After trouncing last year’s champion JDCR in a 3-0 bout, Qudans earned another shot at LowHigh, and he made the most of it early on. By utilizing Devil Jin’s pressure tools, he was able to consistently force LowHigh to the wall, limiting his options. Qudans’ persistence paid off with a bracket reset, but he lost his momentum and the tables turned in LowHigh’s favor. LowHigh’s main character, a newcomer named Shaheen, is a master of mixups. He is capable of forcing his opponents into situations where they must guess where attacks are going to come from and block appropriately, a skill that can carry him through tough matchups. The same qualities that helped LowHigh find success throughout the year gave him the edge in the second grand finals set. 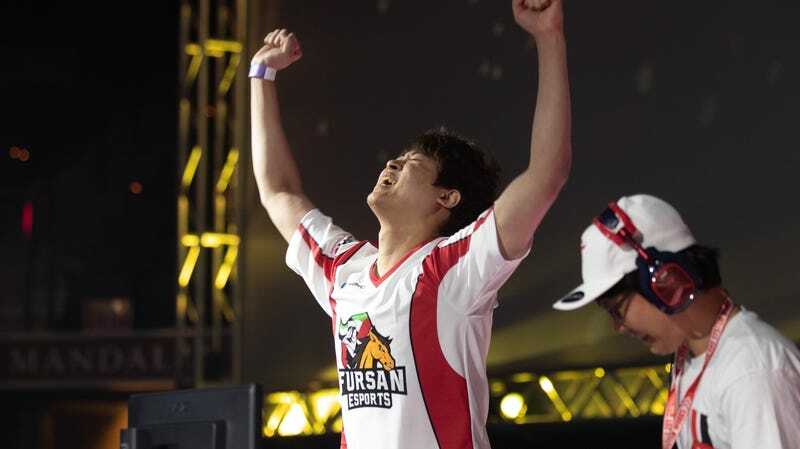 Even with his experience, Qudans seemed lost at the most inopportune moments, allowing LowHigh to squeeze damage out of every interaction and turn the bracket reset into a 3-0 victory. On paper, Qudans was the clear favorite in grand finals, even with the two-set stipulation forced on him as the losers bracket finalist. But LowHigh, persistent as ever, showed that Shaheen can be a powerhouse in the right hands. Tekken 7 is one of the most exciting fighting games in the community today due to the way its competition evolves from month to month. 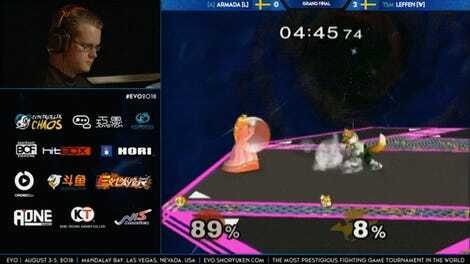 LowHigh, for example, is a relative newcomer and this is his first showing at Evo, and now he has the distinction of being the scene’s current king.